Postcard US-2752817 from Oxford, MA shows the Fenway Park in Boston, Massachusetts. 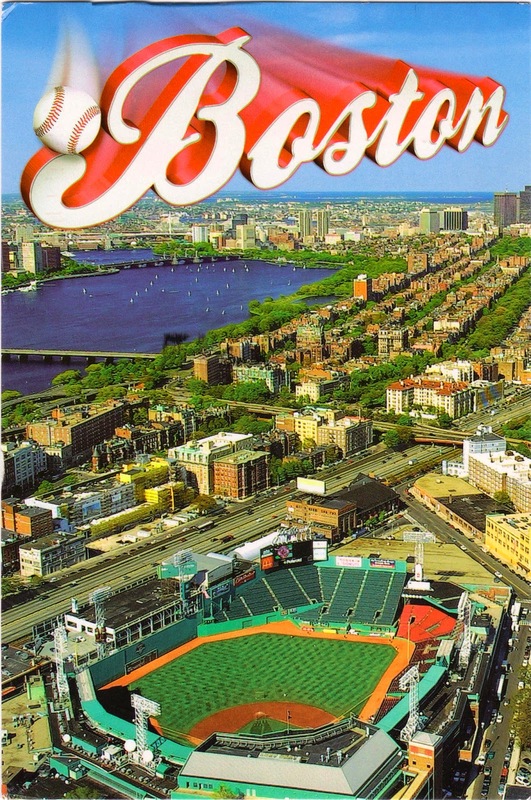 It is the oldest Major League Baseball (MLB) ballpark, and has been the home of the Boston Red Sox MLB team since it opened on April 20, 1912. Due to the age and constrained location, it is the fourth smallest by seating capacity, second smallest by total capacity, and one of seven that cannot accommodate at least 40,000 spectators among the all MLB baseball parks. Fenway has hosted ten World Series, as early as in its 1912 inaugural season and as recent as in 2013 World Series. It was added to the National Register of Historic Places on March 7, 2012.